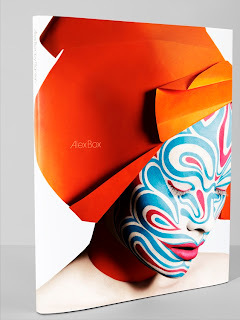 Alex Box will be at Selfridges Oxford St between 4 and 7pm on Thursday 5th November to exclusively sign copies of the Alex Box by Rankin book. 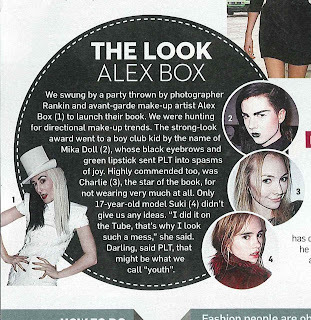 Alex and the artists will also be creating looks from the book. I have also heard that Sharmadean Reid from Wah Nails salon in Shoreditch [the hot spot for creative nail art!] 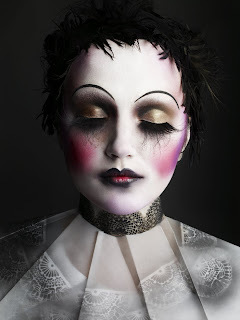 will be on the temporary site opposite the Illamasqua counter – the perfect excuse for an artistic beauty afternoon! Did anyone else spot Mika [our lovely artist from Selfridges Oxford St and star of the Dystopia ads!] in the Sunday Times Style magazine last Sunday? In case you missed it, here is the clipping!